2 to 2.3 inches. Rat Trap Pass. I have had the Compass Rat Trap Pass tires on my "allroad" bike (bastardised MTB) for around 6 months now so here is an update. 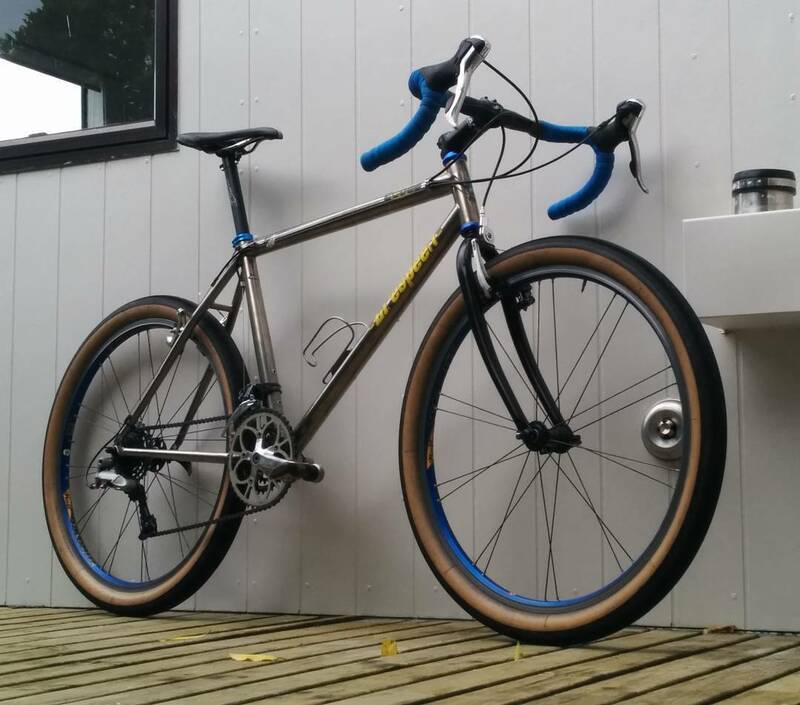 As I said in an earlier post, I had always wanted to build a drop-barred, slick fat-tired 26er after seeing Mr Danger-pant's Firefly on a forum in 2011. 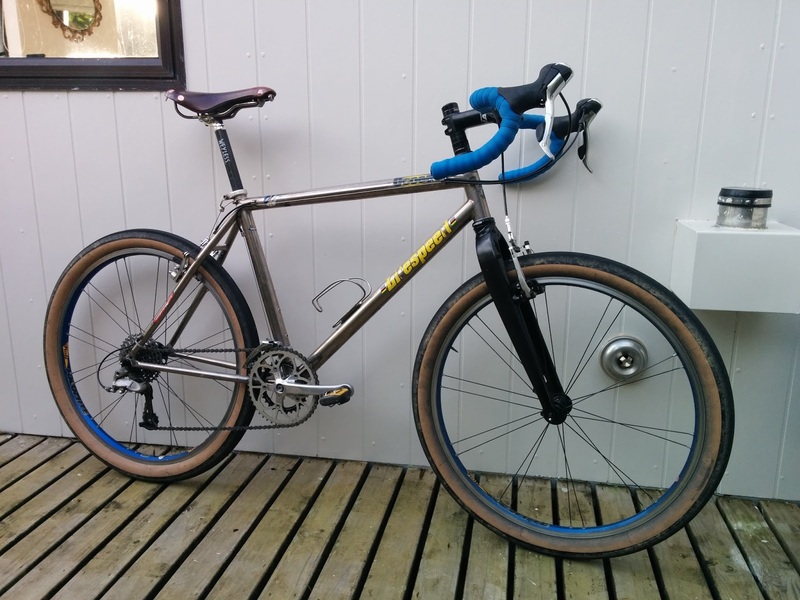 Then when Firefly built Jan Heine's titanium allroader, I just had to do something with a pair of those fat supple tires and my old Litespeed Ocoee. 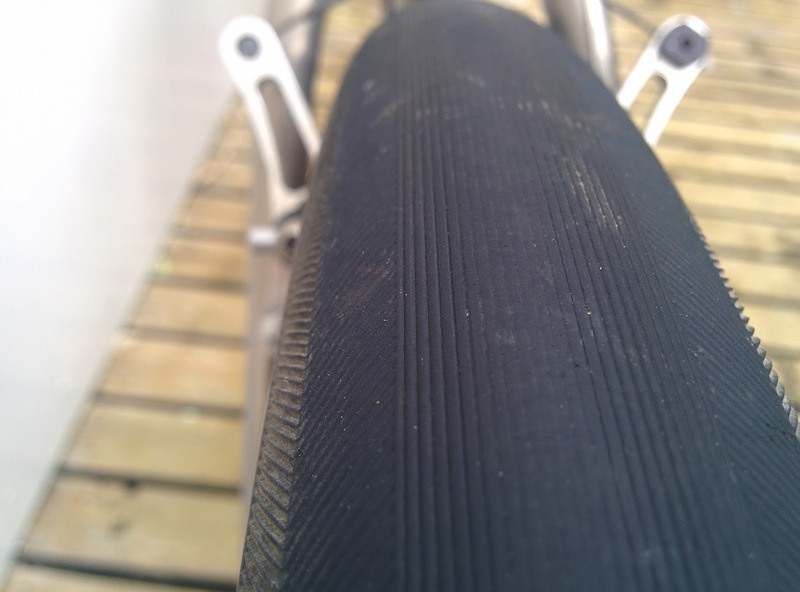 Previous tires available for 26ers, while being fat, were heavy and slow due to their heavy sidewalls. I purchased the heavier of the two Rat Trap Pass tire options, not being sure how the more supple sidewalls of the lighter version would handle NZ's rough 3/4 chip roads and the off-roading I had in mind. The difference in weight was only 36 grams, 418 vs 454 grams, according to the Compass site. Mine weighed in at 460 grams. The bike's build was to go through many many iterations, mostly involving cranks and forks, and it probably still has many more to go. Iteration 1, with 98 SID. I was excited at the promise of 2.3 inch wide tires but was a bit under-whelmed when they barely measured 2.0 inches when mounted on my old-school Rolf Dolomite rims. My dreams of PHAT-ness had fizzled. They were also a bit of a challenge to seat correctly, despite the very impressive full colour documentation that arrived with the tires. I rode around for a week hoping that they would settle in, but eventually I had to unmount them, soap the bead and generally tug and pull them into a good position. They are great now. I was very impressed with the speed at which they rolled on the open road, I was able to push a much taller gear in comparison to the other slicks I had thrown on while waiting for the Compass tires to arrive. They still gave a surprising level of purchase in the rough stuff, a lot more than you would expect from a tire that is closer to a slick than a semi-slick, they climbed particularly well in the dry and were sweet in the gravel on the flat. I haven't had the pleasure of any spirited descending in the loose gravel to date, but they did cope well with the hard-pack. Actually I did some particularly brutal off-road descending last weekend which was enough to cause me to over-heat my vee-brake pads. The tires held up well but had me wishing I had a disc on as it was a very steep and sustained grade. Mostly I have been commuting on the open road with the Rat Trap Passes with occasional forays into the bush for about 15 minutes at the end of my commute, while running them at around 30 to 35 psi. Obviously the rear tire has worn a lot more than the front which still looks pretty good. It's certainly not due to skidding as I don't think the rear brake has a skid in it. This bike and tire combo is so much fun its pretty much been the only bike I have ridden in the last 6 months. When I say ride, I mostly mean commute. I am still amassing brownie points after my Tour Aotearoa from 2016 so my mileage is probably the weakest it has ever been at just under 1000kms on these tires. 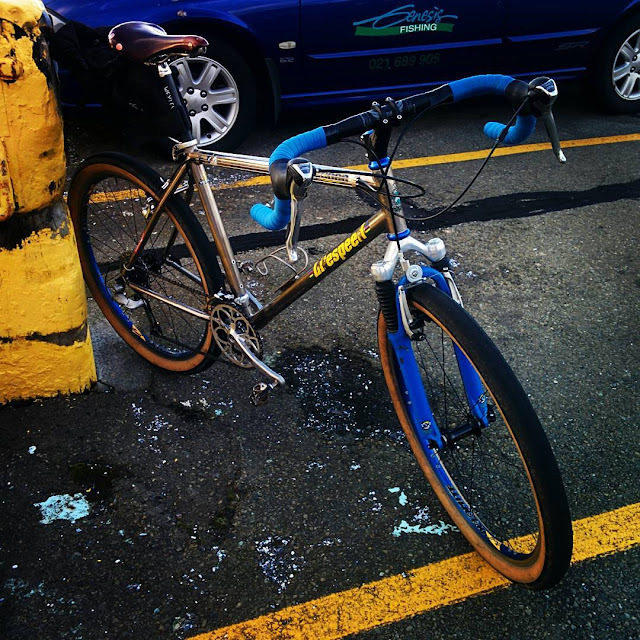 Often I commute via the Wellington CBD and this bike is great in that urban environment. It seems to accelerate away from the lights faster than my other bikes and feels very sure-footed when coping with the behaviour of random pedestrians walking into the traffic with noses in phones and the ever present puddle-duck taxi drivers halting flow. This is the only time I have ever consciously recorded the mileage of my tires, and it was very easy to do. Because I enjoy riding this machine so much, I have hardly ridden any of my other bikes. On the road, these tires, matched with a set of old Shimano XT parallel v-brakes on the front have boosted my descending confidence to a degree I never had before. Its more like riding a motorcycle. Having the protection and comfort of the fat tires means that I can easily jump up onto a curb to make way for traffic in some of the more squirrely commuting routes I take home. 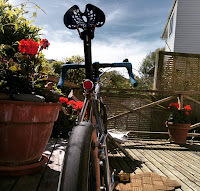 I hope to log some more kms on these tires off-road when and if our summer actually arrives, and build my fitness back to a level where I am game enough to do a Friday Morning bunch road ride. At that point I should be able to see if fat really is fast. 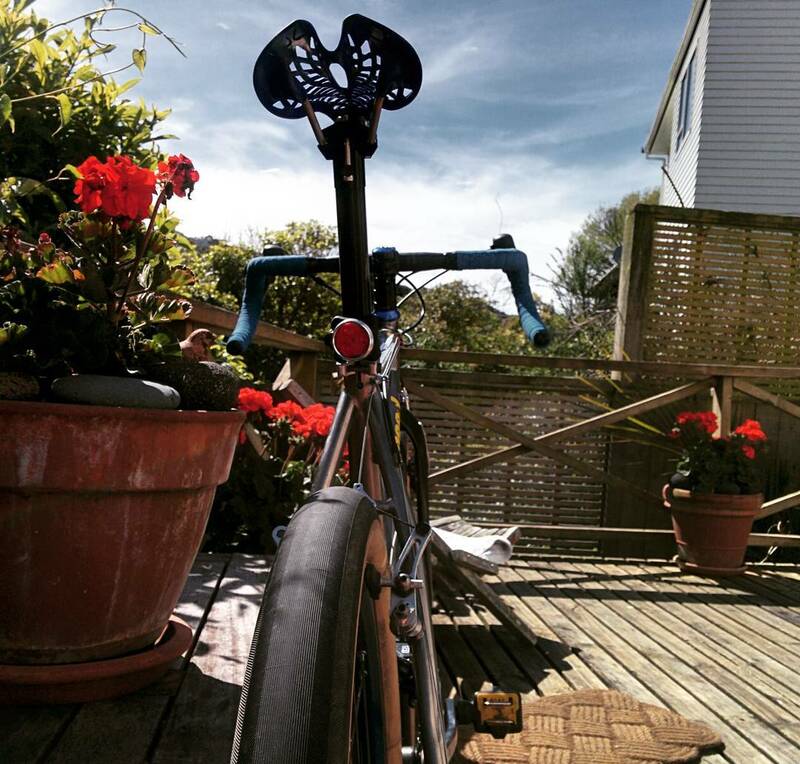 Right now, I cant see a time when I will get my carbon road bike out again. This bike is just so comfortable. Having never actually monitored a set of tires for wear before, I am not sure if the mileage so far is good or not. It is just the grooves that are wearing thin on the back and I am hopeful to get a lot more out of them yet. My gut feeling is that they are wearing at a similar rate to a pair of Stans Ravens which would be the next most similar tire I have used. One thing I have noticed is their puncture resistance, not one puncture in 6 months. That's pretty good compared to my road and wider 700 tires which netted me 4 unrelated punctures recently in 2 weeks. The bike, a 1993 Litespeed Ocoee started out with my powder blue 1998 rock shock SID forks on it, and some very old Wildgripper Comp Michelin tires. I kept the SID on it for a while, for several reasons, It was awesome on the gravel, and it had a reasonable amount of steerer on it. I also had a cheapie Mosso alloy fork on the way from Aliexpress. 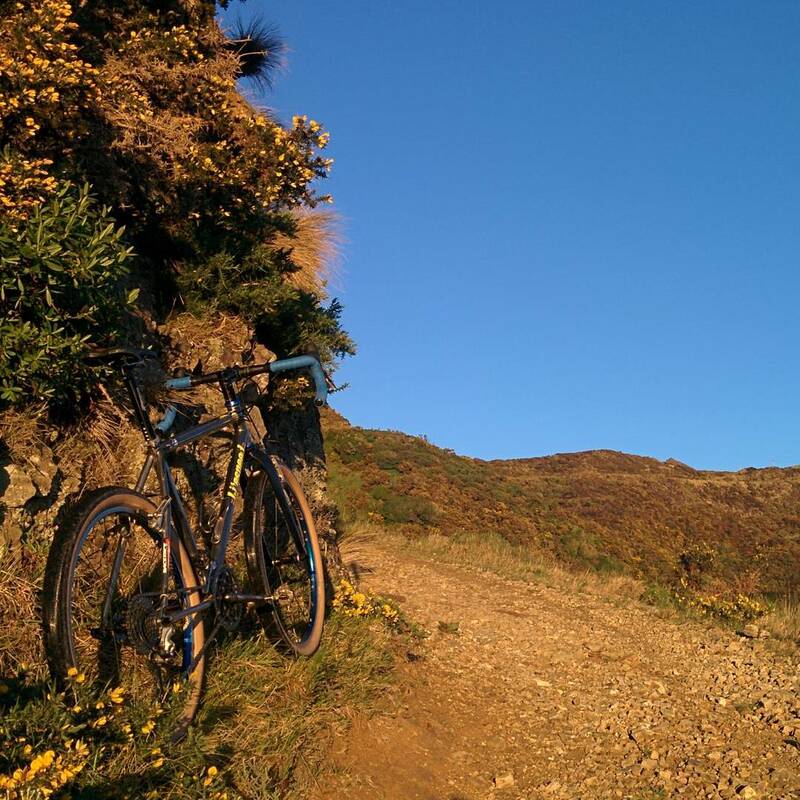 The Mosso fork has the advantage of having both disc and canti posts on it, but so far I have stuck with the canti posts as the XT vee-brakes are more than powerful enough for me in most scenarios. I use the Problem Solvers travel agent converter. The modulation feels great. 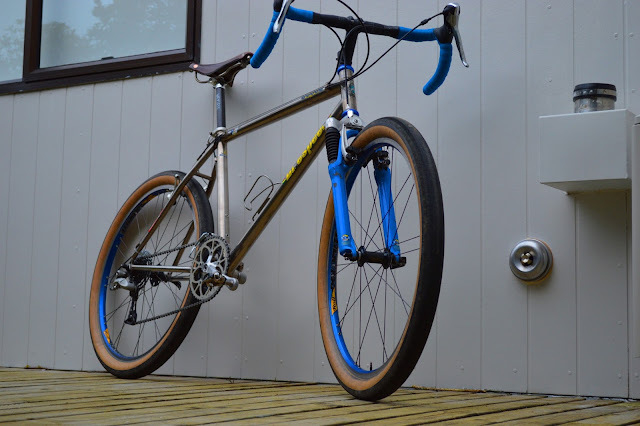 I could run canti's without a converter, but I am yet to meet a canti I wanted to spend that much time with. There is a decorative one on the back, after I accidentally broke my other vee-brake's locator peg. I tried hard to source a light-weight steel Spinner fork and eventually I got one that had just enough room to run a stem, although it is way too slammed for a crusty like me to be comfortable with long term. 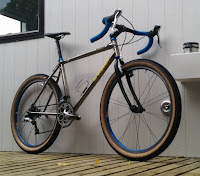 I will probably go back to the Mosso with its longer steerer and have a play with a disc option at some point, or use a stem extender, which will add 225+ grams. I noticed that using the Spinner fork improved the handling a bit as it was not suspension corrected like the Mosso fork was. I recall back in the day how my Mag 21's made the handling a bit floppy. 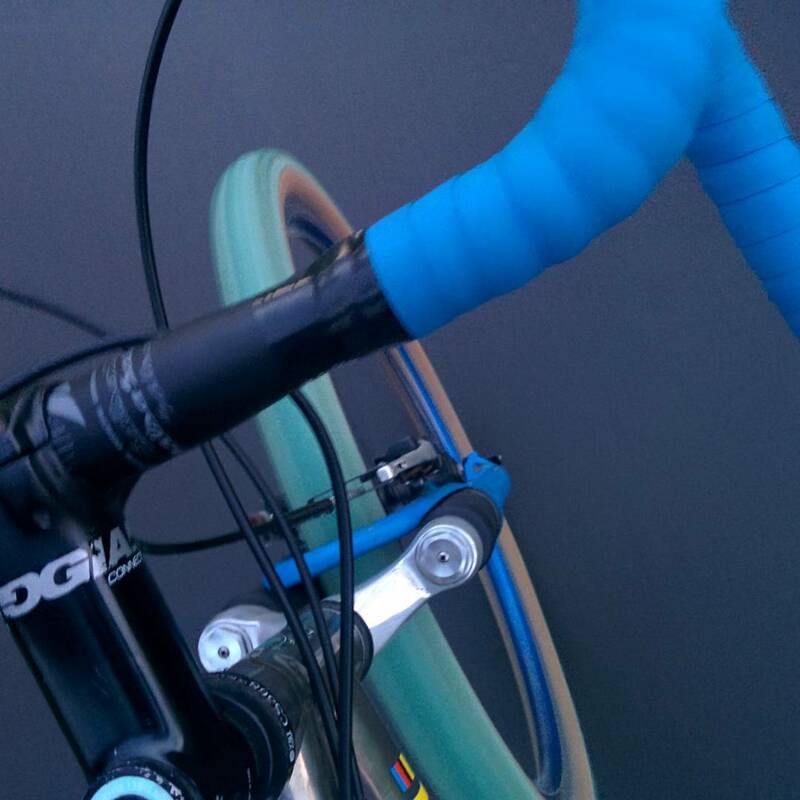 My Tiagra shifters seemed to have a lot of clicks in them so I was keen to try and sort out a triple crank option. I had done a lot of number crunching and figured that a closer ratio rear cluster with a triple would give me better options than a 2x on the front with big gaps on the back that would probably be noticeable at commuting speeds. but that is what it was advertised as. 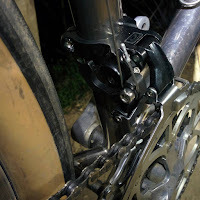 I had read of someone making a Shimano Deore M591 front derailer work with a shimano 3x shifter so I got one cheap online, as I was having no luck with my existing stock of derailers. 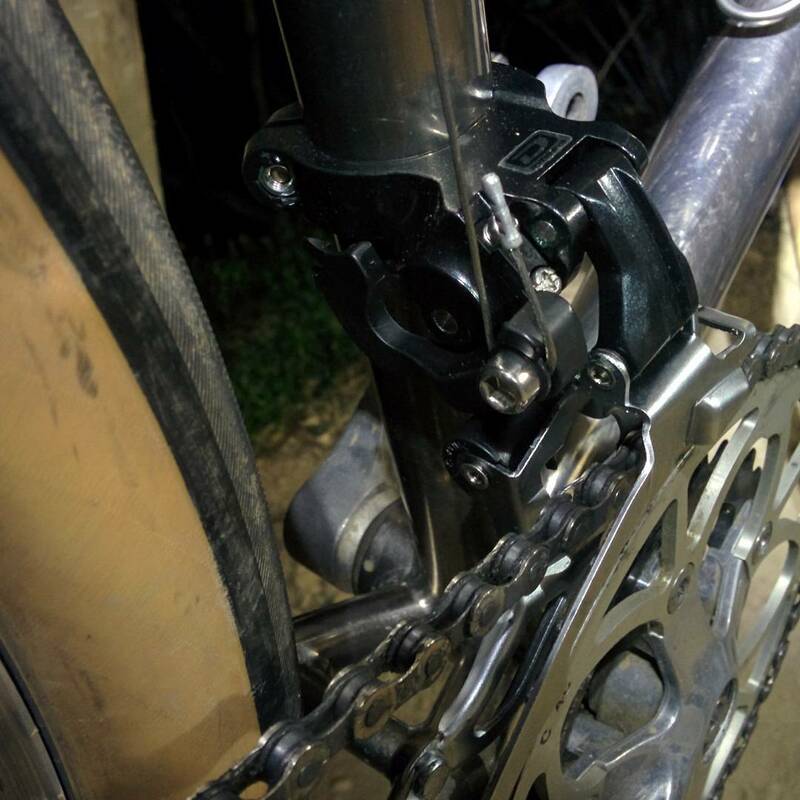 In the end I got much better results out of my old Shimano LX crank than I did from my Tune crank so I went with the LX. There are times when I have to "trim" the shift one way or another, but I love having the range and closer ratios that the triple gives me. 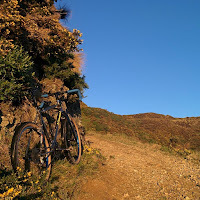 I probably could have gotten by with the 46/32 on the front but for me, having the option to ride very steep off-road climbs is worth it, even if its only now and then. One thing I did notice, this rig is affected by tail-wag a lot with a rear seat-bag. I am not sure how this is, by comparison my Karate Monkey is rock solid. Maybe its to do with the wheel size, as the wheel-base is identical. I was commuting a lot with my seat-bag but it is enough to make me wear a back-pack which I'd also rather not do. Looking back at the Tip-track. This bike has done a lot of kilometres. When I got it second hand in the late 90’s, it’s previous owner had already used it as his do everything bike for 5 years. Marco used it 5 days a week for his 2 hours return commute, a bunch ride on saturday and a race on sunday, when there was one on. He did at least 5 national MTB series on it, (5-6 races in each series) along with every other local race available during the height of the MTB racing boom in the early 90's in NZ. He rode it at the MTB worlds in Masters in 1993, (France) 1994, (Vail, Colorado), and 1996 (Cairns). He also won the masters national series on it a couple of times in NZ. He only sold it to me when he was run over one day while commuting and the frame was written off. I took it to BRANZ where they had a hydraulic press. One of the guys straightened out the rear stay and it became my new race bike. 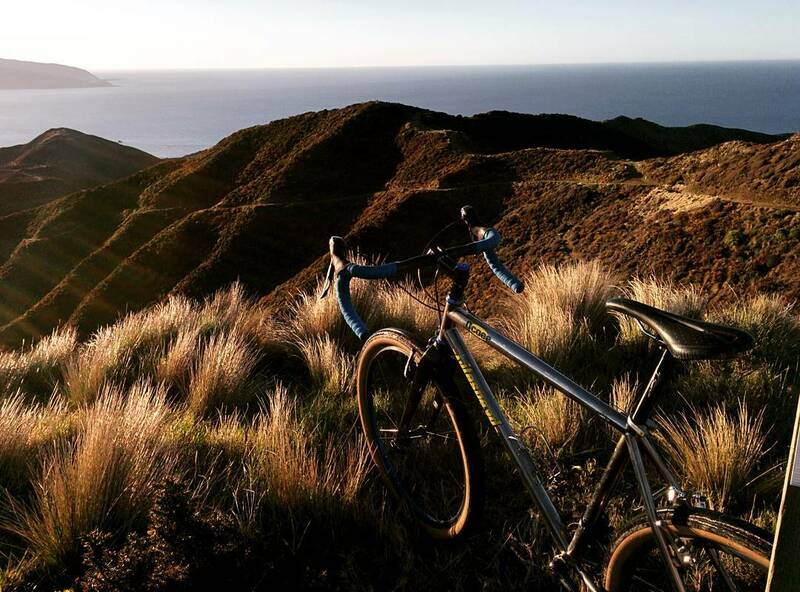 Riding up the Tip Track. The geometry wasn’t as good as that of my Diamondback Apex, but I was a bit of a weight weener so was happy to have a bike a good pound lighter. I campaigned it for quite a few years taking out the masters national series in 2001 on it. I suspect that after this bike was built Litespeed tried to compete too much with the new lighter carbon bikes and their frame longevity suffered. This bike was one of the good ones, and shows no sign of giving up yet, 24 years on. Not a big deal for a steel bike, but pretty good for a titanium one. Commuting via the wharf with my 2nd favourite saddle on. Yeah, they are all the rage Andre, you still need a bit of steerer at the bottom though, they might just work as the clamping mechanism is near the bottom, not sure what kind of structural integrity the internals of them gives it eh.